As seen on TV! You may have seen this design on the recent National Geographic show. 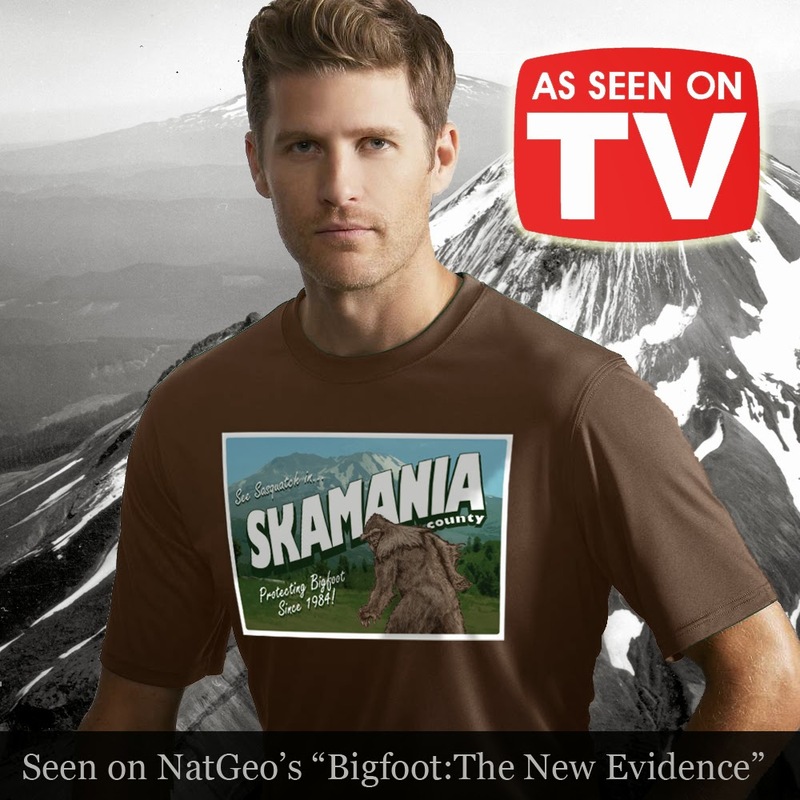 "Bigfoot: The New Evidence" A bigfoot tshirt that commemorates Skamania County writing the first law to recognize and protect Sasquatch. 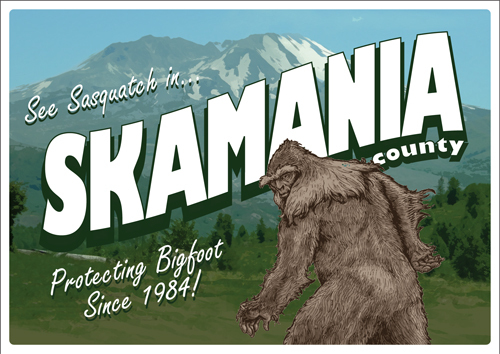 Be the envy of your family and friends with this collectors edition of the Skamania County Bigfoot t-shirt commemorating the first law to recognize and protect Bigfoot. These Bigfoot t-shirts are the perfect gift for your favorite bigfooter--even if that favorite bigfooter is yourself. These are limited edition bigfoot t-shirts made with the finest Gildan tees and printed with stretchable ink that will last longer than your average tee. Artwork by Guy Edwards.